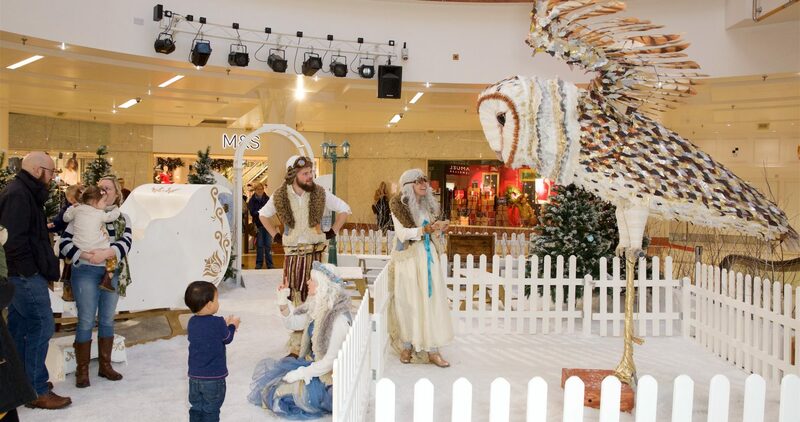 Enter the Enchanted Wishmas Garden, a snow-covered wonderland with a breathtaking animatronic Wishmas Owl that spread her wings (7m span) and was the star of our show. 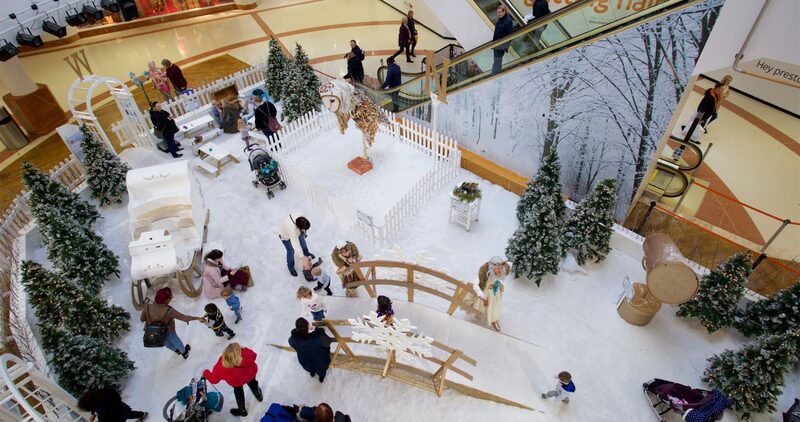 Our beautiful and interactive set featured a wonderfully well-mannered Wishing Well that said thank you when receiving a donation, a giant sparkling sleigh, golden telephone for leaving messages, a bridge to fish for wishes and a stargazing digital telescope. 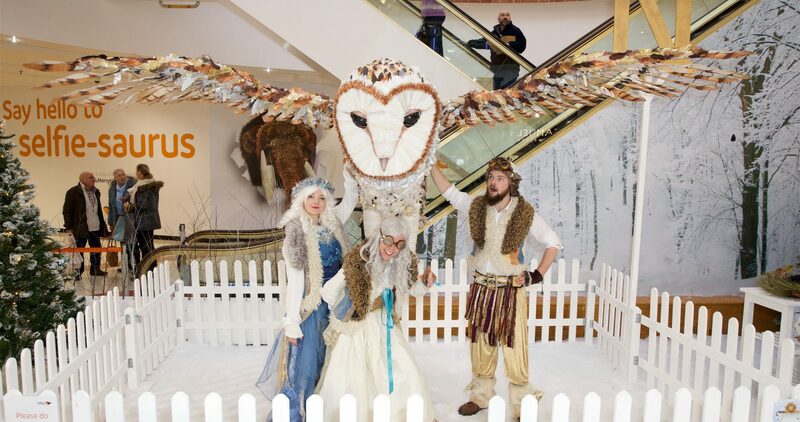 Our professional Wishmas Elves facilitated engagement with the set, gathering wishes, pointing out shooting stars, whispering words into the well and delivering fully scripted performances featuring the Wishing Owl and magical snowfalls. Suffice to say this magical event was a massive hit!